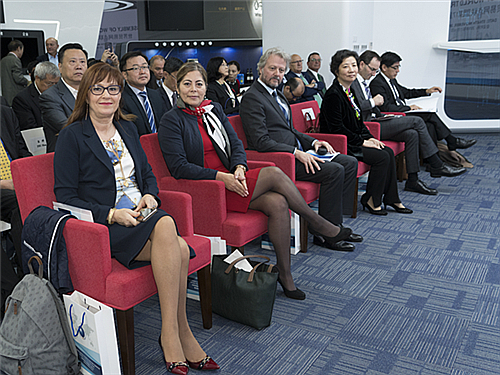 On 5th November, 2018, the 17th General Assembly of World Trade Point Federation and the Global Trade Facilitation Forum was opened in Shanghai Electronic Commerce Promotion Center (Trade Point Shanghai). The conference was organized by World Trade Point Federation and was held by Trade Point Shanghai and Trade Point Beijing. 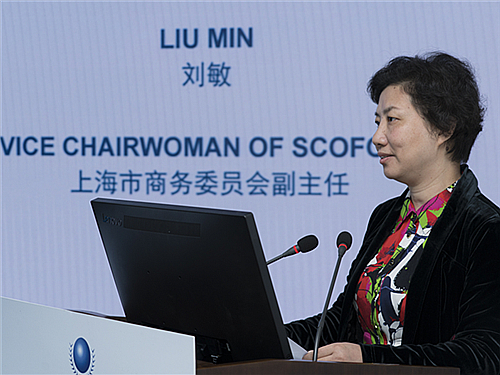 Chairwoman Liu Min of Shanghai Municipal Commission of Commerce delivered an opening speech and extended her warm congratulations to the opening of the conference. 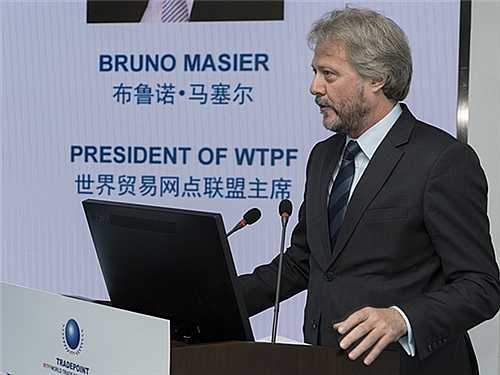 Mr. Bruno Masier, the President of World Trade Point Federation gave an opening speech to the conference and he said, “through the connection of Trade Point Shanghai, World Trade Point Federation and Shanghai Municipal Commission of Commerce has been keeping a long and stable cooperative relationship in the past 23 years, which strengthened the trust between us and promoted a series of joint events, mutual-aid projects and new measures, which also paved the way for the development of the next generation of e-commerce services and trade tools”. Mr. Matthew Machielse, the ADM of Ministry of Economic Development and Trade, Government of Alberta, Canada, Mr. Winston Kan, the Commercial Consul of the Embassy of Canada to China and the Managing Director of Alberta Beijing Office, Ms. Yvonna Zou, the Senior Commercial Officer of Consulate General of Canada in Shanghai and Alberta Shanghai Office and officials from Trade Point Beijing attended the conference. Mr. Willy Alfaro, the Director of Trade Policies Review of WTO Secretariat, Ms. Carolina Quintana, the Official from United Nations Conference on Trade and Development, Ms. Cristina Dragoi, the Regional Coordinator of Europe World Trade Point Federation, Mr. Yao Weiqun, the Director of Shanghai Strategic Research Institute of International Trade Center, Mr. Zhu Hua, the Director of Shanghai Commerce Development Research Center, Mr. Sun Xinhua , the President of Invest Shanghai, Ms. Xia Shifeng, the Secretary-General of Shanghai Cross-border E-commerce Association gave speeches on the topic of trade policy developments, trade facilitation, the development of Shanghai commerce, invest climate and cross-border e-commerce on the later Global Trade Facilitation Forum. In the afternoon, Trade Point Shanghai organized a Business Matchmaking Conference of Spanish Shoe Products. The Spanish Region of Murcia Development Promotion Institution organized hundreds of goods from 8 brands exhibited which attracted more than 20 domestic enterprises to participate.